MLB 15: The Show is a game of little touches that you may not even notice. 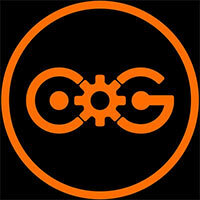 ...Most of the additions along these lines enhance the look of the game, but little else. ...It's still a hell of a game, but if you come back to it year in and year out, this season's offering doesn't have much of a spark. Sony’s MLB franchise remains the undisputed king of virtual baseball games. 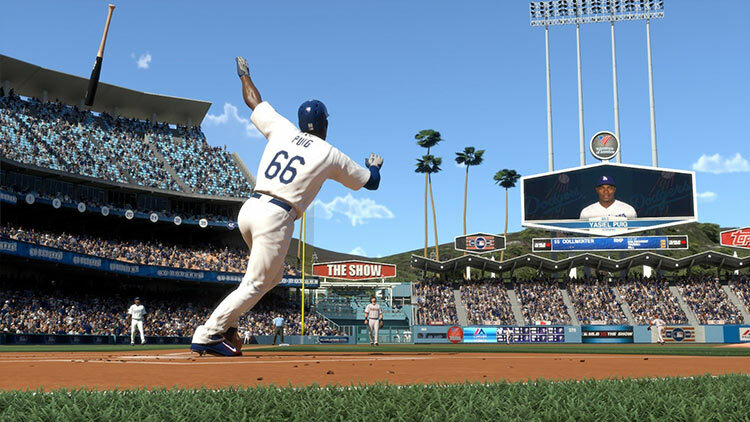 MLB 15: The Show is a visual stunner and for yet another year the franchise has made a leap into becoming a more authentic Major League Baseball experience. Despite this, the franchise is becoming somewhat stagnant and in need of some real innovation. Online play felt somewhat smoother in limited goes, but I'm on a different internet connection this year, too. Others have reported the same old problems. 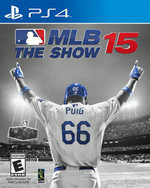 ...MLB 15 The Show is still good by virtue of the systems laid down over the last decade, but it has no ambition. Produced on third base thinking it hit a triple, it wouldn't even bother running in a sac fly. While series like Madden struggle to create a worthwhile product year after year, The Show is fortunate in the sense that it has crafted a nearly-perfect baseball experience for several years. This year is no different and while that may not be everyone's cup of tea, the subtle improvements made to each new iteration is good news for baseball fans. What really works well here in MLB 15: The Show, partially thanks to the aforementioned directional hitting system, is the gameplay on the mound and on the plate. Every single at-bat feels dramatic, and that goes for both playing the pitcher and batter. ...MLB 15: The Show is a wonderful game. MLB 15: The Show doesn’t bring any major additions to the table, but it does respectably tweak the most beloved modes to streamline the experience for pros and casuals alike. The introduction Year-To-Year saves makes upgrading to The Show 15 easy and the plethora of visual enhancements ensure the upgrade won’t go unnoticed. 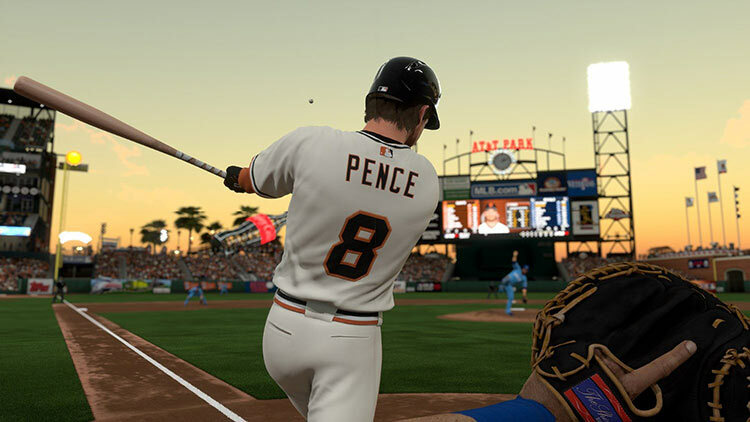 MLB 15: The Show is an excellent and complete package with lots of different ways to experience baseball in all its glory. But it’s a very familiar complete package. Other than functional online play, there’s nothing revolutionary about this year’s version. It does get to legitimately say that it looks and plays better than any other baseball game you can buy right now, but only slightly. 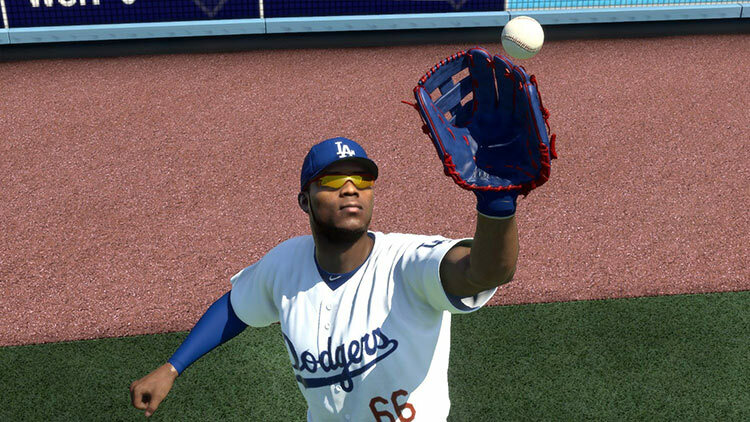 Yasiel Puig, the flamboyant star outfielder for the Los Angeles Dodgers, is the cover athlete for MLB 15. But his appearance on the cover belies the game inside the box. Sony San Diego eschewed developing splashy back-of-the-box bullet points in favor of refining an already great game, exhibiting a confidence that is itself quietly remarkable — just like this series' consistency. MLB 15: The Show is starting to feel as familiar as that old pair of cleats you throw on every spring for another year of slo-pitch beer ball. ...This slow-and-steady approach to game design makes each iteration of the game comfortable, but it also makes for fantastic baseball sims that you can always count on, and that are always improving in subtle ways. In gaming, in baseball, and in life, that’s rare and valuable, even if it does make for a predictable rite of spring. Nothing about MLB 15 The Show will impress right off the bat. That's not because it isn't great, but because we've come to expect the very best from Sony's series. It's the under-the-hood gameplay improvements and additions that really make the difference, then; engaging in mental battles with base runners, pitchers, and even outfielders is a big part of the experience this time out. As a result, this is the best entry in a franchise that's showing no signs of slowing down – even after ten years of success. No one denies that MLB: The Show is a solid sports title. But there’s a definite malaise that’s come over many of its fans. Yes, we play it because it’s one of the best, most consistent sports titles on a year-to-year basis. But the series is coming dangerously close to lowering players’ expectations to an unacceptable level—and the developers at Sony San Diego are better than that. They need to take a note from their hometown Padres and reach for that brass ring. Unfortunately it’s still painfully obvious there are a limited number of character models for fans and they tend to move in unison in big moments. MLB 15: The Show has enough subtle additions to gameplay and graphics to keep returning fans satisfied. Online issues have been addressed, there’s more customization and control than ever before, and the addition of legends will please baseball purists. Even if you’re a newcomer this season, look no further than this year’s solid entry in the storied franchise. MLB 15 The Show is the best-looking sports game ever made, and it plays great too. Its game modes have grown stale, however, which begs the question: Is stupendous on-field action and stunning . Let’s be honest here, many of you are going to upgrade every year regardless of what is added or changed. For those of you that look for major changes before jumping on board, I do think this year’s changes on PS4/PS3 are well worth the purchase. I’d love to see the series invest time next year in adding features to the Road to the Show mode and continuing to focus on making the most accurate simulation possible. MLB 15 The Show might be the perfect example of how small steps forward without changing the core experience is the best way to develop a series. There's little doubt that, sooner rather than later, SCEA is going to have to take some risks. Two years into the development cycle of the PS4, next year's game will have no excuse to have a variety of new additions on top of new animations. MLB 15: The Show doesn't bring a lot of really impressive upgrades to the table, but that doesn't change the fact that it's still a really good baseball sim. I'm consistently impressed by its strong physics engine, the attention to detail afforded the stadiums, and the tight design of Road to the Show. If you have even a passing interest in baseball, you owe it to yourself to play MLB: The Show at least once. 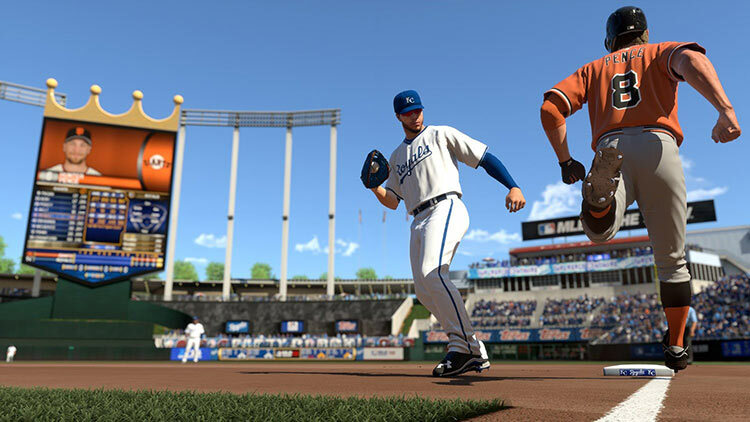 MLB 15: The Show manages to both look and play better than ever, but still somehow feels disappointing due to a lack of innovation. The gameplay continues to shine as always, with the inclusion of licensed equipment for the first time in the series making it all the most realistic. Choosing to make much of the game revolve around Diamond Dynasty was a wise decision, though the game itself feels mostly like a roster update than anything else. The outfielder AI is suspect at times, the career modes are really starting to show their ages, and the animations are still fairly floaty and inconsistent. Even though MLB 15 is an improvement, the changes implemented don't make this year's version that much better or different than MLB 14. The Show is still the best game in town, but that doesn't mean this year is the best it's ever been. It’s weird when you feel so unenthusiastic about a game that you know is “good.” This used to be a series that I would never miss. These days, I’d probably take a long break from The Show if I could. If you’ve never played it before, maybe you’ll feel the same magic I did back in 2009. But if you’ve been with the series for a while, you’ll feel the same fatigue that I do. 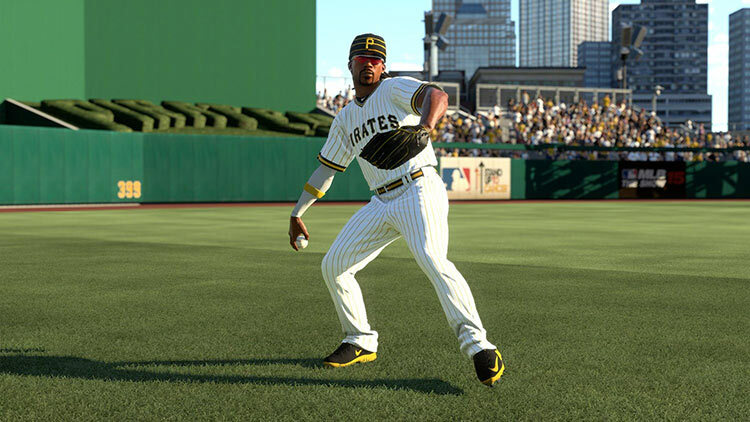 MLB 15 The Show takes the field with equipment, experience, and an improved network. All in all, gamers are bequeathed with a finished product that’s, universal, immersive, and also accompanied by a one-of-a-kind Diamond Dynasty mode that will certainly inspire game modes from now on. Sus principales novedades pasan por el modo Diamond Dynasty –que apuesta por un concepto similar al de FIFA Ultimate Team– y el equipaciones de marcas reales, algo que seguro que agradecerán los más aficionados, pero aparte de esto, pocos cambios notamos. Recomendado específicamente para amantes del béisbol más que de los juegos deportivos y sin mayor alternativa real que este MLB 15: The Show, estamos ante un juego demasiado similar al del curso pasado, en el que la innovación es la justa pero no por ello deja de ser un muy buen acercamiento al deporte en cuestión. ...Hay que ser muy aficionado de este deporte para poder disfrutar con este videojuego, al ser un producto tan sumamente específico. L'éditeur de joueurs, très complet, demeure également plus intuitif. Bref, des retouches mais pas de réelles nouveautés qui pourraient susciter la curiosité d'un nouveau public ou rendre le titre plus attractif. ...En revanche, si vous étiez réticent à encourager cet immobilisme criant, vous pourrez toutefois vous rabattre sur Bein Sports, qui vient d'acquérir les droits de la MLB. MLB 15: The Show è un ottimo simulatore di baseball, il gioco ideale per tutti gli appassionati di questo sport che troveranno in esso un'offerta molto valida in termini di giocabilità, quantità e qualità, a parte il comparto online ancora imperfetto. ...Resta quindi un titolo fortemente consigliato ai fan di questo sport che non hanno avuto modo di acquistare il predecessore o che vogliono avere le statistiche aggiornate alla nuova stagione.